A fantastic trip to the Victoria and Albert Museum to see the Ann West patchwork quilt. A fantastic trip to the Victoria and Albert Museum to see the Ann West patchwork quilt. Finished by the tailor in 1820, it is made from off cuts, presumably found in her workroom. It depicts a mix of scenes from ordinary rural life on England and classical biblical stories. It is made up of sixty four vivid woollen panels, all appliqués and embroidered. It was probably intended for a Sunday school wall hanging. Remember to go and see the stumpwork box whilst you are there. Here are two pieces of mine, worked with techniques and stitches similar to the Ann West patchwork. 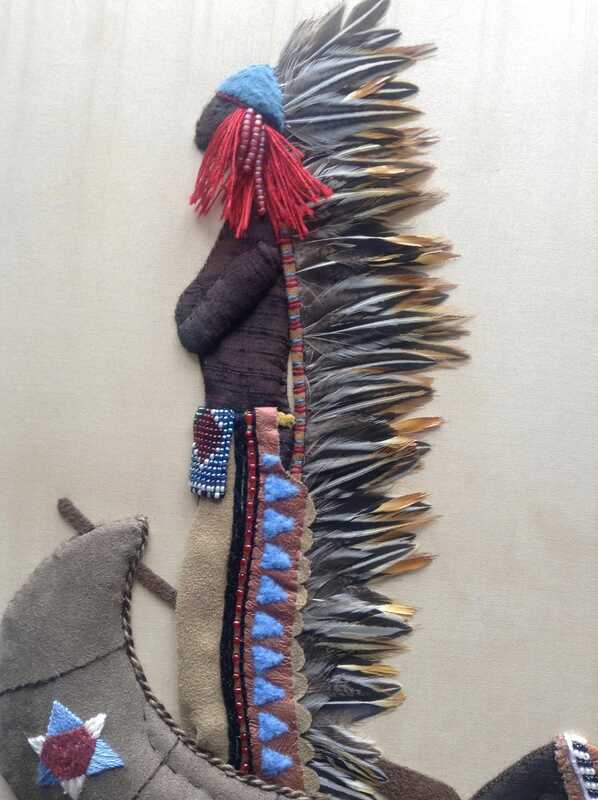 The Native American is an appliqué that I created during the Future Tutor Programme with the Royal School of Needlework at Hampton Court Palace. It was inspired by a painting “ La Long du Missouri” by Georges Barbie; it reminded me of a canoeing trip we survived in America- I was in a boat with my daughter who sang “Just Around the River Bend” until I threatened to hit her over the head with a paddle! 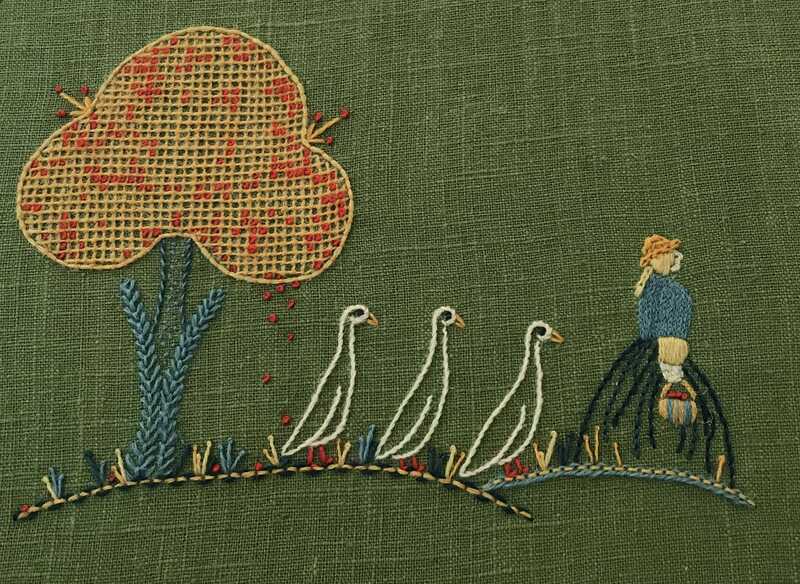 The goose girl is my contemporary take on Jacobean crewelwork, it’s pair is a shepherd and l worked these for The Quaker Tapestry in Kendal, Cumbria as they asked for subjects pertinent to the area. The stitches are reminiscent of the Ann West quilt: stem stitch, split stitch, chain stitch and some French knots. They are quite easy to do but can be really effective.